Also children’s therapy and development support are in the need of urgent further development. Whereas, in the late nineties, words like hyperactivity or ADD (attention deficit disorder) were unknown, even in specialist circles, now we are very much talking about them. As traditional therapy concepts do not work any more, a certain helplessness can be detected among specialists. This involves the prescription of highly dubious drugs, such as Ritalin, which is actually a neurotoxin. But how is this all possible? Have parents and teachers failed? Do therapy treatments not work any more? This is the simple answer: children have drastically changed in the last few years. They are also subject to the profound changes that can be noticed in all levels of our culture and society. These changes have become so obvious now, that they are even recognised by different sciences, such as medicine, sociology or philosophy. The American sociologist Barbara Marx Hubbard, for example, connects, in her books, scientific thinking with spiritual knowledge. She writes that we are the first and only generation in human history, that witnesses something new and unprecedented. Together with us, many souls, who incarnate in these years and decades, can see the “birth of the Universal Human”. These are the awakened souls – also called master souls – who have already done the major part of their long developing process and are now heading to perfection. The Universal Human is connected to the entire life through his heart. He feels enabled to use his abilities for the positive development of mankind and the world. He walks his own, individual path to take part in the enormous process of change and creation. Barbara Marx Hubbard even talks about the “creation of a new man” (see Marx Hubbard, Barbara. The shift from ego to essence). Also, in children’s therapy and development support, the necessity of progressing the traditional concept, becomes more and more urgent. Classical children’s therapy is mainly based on talk therapy. The centre of diagnosis is formed by questionings and talks, focusing on recognizing, understanding, remembering, or identifying problems. Although, besides the talks, therapists also work with role plays, the emphasis of therapy is almost exclusively on the mental level. This means that it is not surprising that a lot of assumptions are included in the analysis. Thus the quality of the diagnosis depends vastly on the therapist’s mental ability to perceive and observe. One cannot escape the fact that therapists’ own interpretations can be found in diagnosis. The therapy itself is based on a talk or a game. If the therapist is not really successful with the child, or does not reach the desired result, the child is referred to other therapists or psychologists and the whole procedure starts again from the beginning: interviews, talks, role plays, observations, interpretations, etc. Children and teenagers with behaviour problems, who do not respond to classical therapy, often end up in departments of child and youth psychiatry. The Alternative Children’s therapy originated due to the stagnation in classical children’s therapy. From the ranks of the Alternative children’s therapists developed new jobs, such as kinesiologists, ergo-therapists, motor activity therapists and teachers of children with special needs, etc. 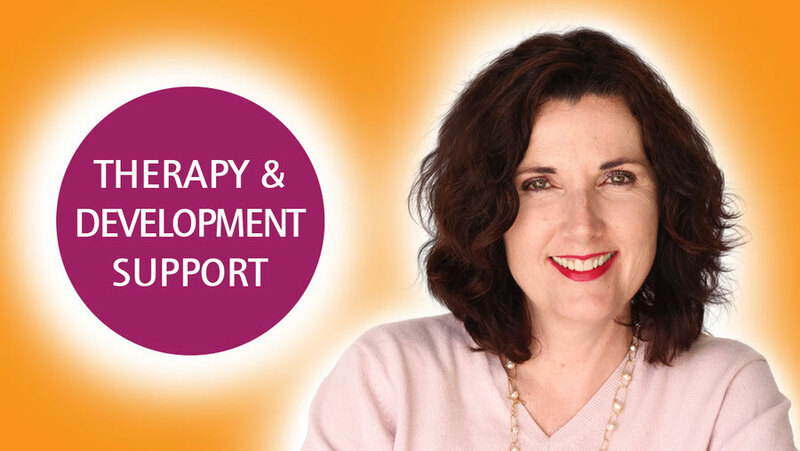 These therapists work holistically, not only on the mental level, or with role plays. They also include body, mind and feeling in their work. Meanwhile they have also reached their limits, as the number of disordered children has drastically risen, and traditional methods do not work any more. Even those creative alternative therapists, who change and update their methods constantly, do not embrace all aspects of human life. Accordingly Spiritual Children’s Therapy is the logical advancement of Alternative Children’s Therapy. So far it has not been considered that children – as a result of the strong transformation process, as described by Barbara Marx Hubbard – have a spiritual consciousness which should be recognized, supported, and lived. A spirituality, which is expressed in a new way: for example, clairvoyance, remembering the time before pregnancy and birth, the perception of subtle energies, such as aura and chakras, the perception of deceased, or beings of other dimensions, such as angels. Many children have even got the ability to join the morphogenetic field (mass consciousness) and therefore gain information they have never heard, or read, before. Many adults are not only scared of this, but simply overburdened by these qualities. And if these “new children” are not respected, and treated as what they really are, conflicts and behaviour disorders consequently arise. Promotion of sensory perception and development, as it has been done so far, is lacking in understanding and knowledge of spiritual abilities and unusual demands of the “Children of the New Age”. Therapists have either not developed these abilities themselves, or do not know that they have these abilities. Therefore, they need spiritual tools which help them to understand the children’s language, or adapt their classical or alternative methods, with the help of spiritual tools, to the level of these new children. These spiritual tools do not only help the children, but also the therapists in their development and self-discovery, as long as they are ready, and open at heart.